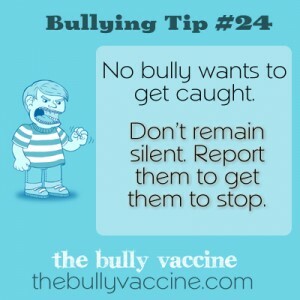 No bully wants to get caught. Don’t remain silent. Report them to get them to stop. If you are going to get a bully to stop, you have to be consistent and report them every time.